Sarnath is a Buddhist pilgrimage site which is located close to the confluence of the Ganga and the Varuna rivers in Uttar Pradesh. 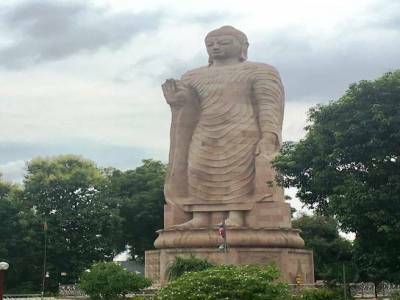 There are four popular Buddhist pilgrimages in the world that are assumed to be sanctioned by Gautama Buddha himself of which one of them is Sarnath, the others being Lumbini, Bodh Gaya and Kushinagara. Gautama Buddha taught his first sermon in the Deer Park, which is now a major attraction for tourists visiting Sarnath. He also followed The Four Noble Truths and preached the Eight-fold path for a happy and content life. Sarnath is sometimes also referred to as Isipatana. There are some ancient edifices and Buddhist architecture that stood the test of time. The world famous Ashoka pillar at Sarnath is a structure with the Ashoka Chakra that consists of four wheels at four cardinal directions and between them are four distinct animals. Four lions are rested on top of the Ashoka Chakra. The Bodhi Tree is also a crowd puller as it is a part of the actual Bodhi Tree from Bodh Gaya. Then there is the Sarnath museum which is cited by the Archaeological Survey of India as the most antiquated museum. 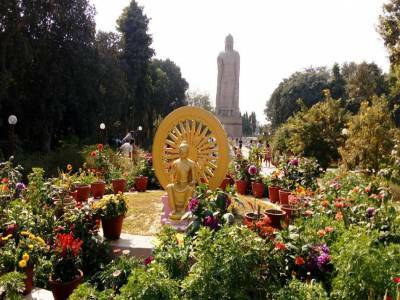 It contains all the Buddhist discoveries and ancient remains of the Sarnath archaeological site. 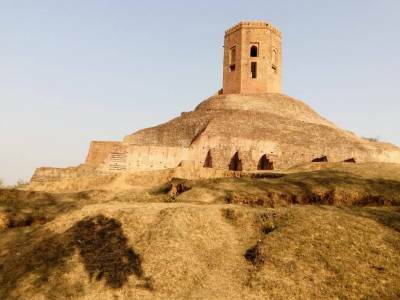 The Chaukhandi Stupa is a terraced temple which marks the spot where Gautama Buddha and his disciples had their first encounter on their way to Sarnath from Bodh Gaya. The Stupa has Buddha’s relics enshrined with an architecture that is an amalgamation of diverse cultures. The Dhamek Stupa was built by Emperor Ashoka to radiate the teachings of Buddha all over the world. 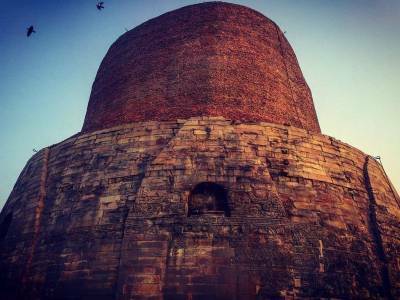 Buddhist art and architecture have flourished and people from across the world flock to Sarnath today to witness the histrionic monuments of the bygone era. Buddhism is a dominant faith in countries like Thailand, Myanmar, Cambodia, Sri Lanka, Japan, Singapore, China and many others. 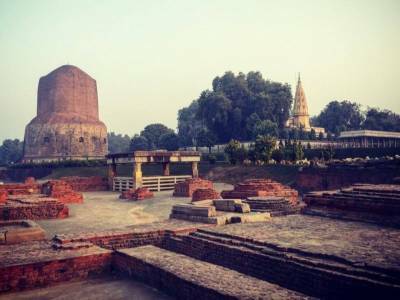 Get quick answers from travelers who visit to Sarnath.